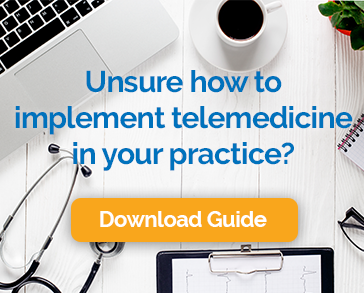 At the end of last year, the Texas Medical Board (TMB) issued a new licensing regulation that significantly expands access to telemedicine for millions of patients in the state. Texas physicians can now treat patients via telemedicine without evaluating them in person first. The new rules, which were proposed by the board in September, and adopted in November 2016, follow the requirements of a state law passed last spring. Under the new rules, the board removed the previous requirement that physicians conduct an in-person evaluation before writing a prescription. The new regulations also stipulate that telemedicine services need not be provided through an established medical site, as the Board previously required. This opens the door to treating patients from their home or office using telehealth technology and secure internet connections. The change also addresses the requirements for meeting the standard of care, documentation of telemedicine services, and communicating with patients. Further, it requires that physicians who provide telemedicine services to Texas residents be licensed in Texas. Mental health services can also be offered via telemedicine under the new guidelines, but in response to objections by state nursing associations, the TMB proposed language defining mental health services as medical services to ensure broad access to mental health care. The Texas Hospital Association, e-Health Alliance, and Academy of Physician Assistants all fully supported the bill and supplied positive comments regarding the proposed rules. The Texas Medical Association supported some changes to the application of telemedicine but wanted to keep some parts of the Board’s prior definition of the physician-patient relationship. A pending lawsuit by Teledoc, a Texas-based online telemedicine firm, challenging the regulations was dropped following the change. Senate Bill 1107, which was signed by Governor Greg Abbot last May, stipulates that a valid practitioner-patient relationship exists even if the telemedicine provider has not previously met with the patient I person if certain requirements are met. The provider must access and use relevant clinical information and maintain the same standard of care as in-office services. If the telemedicine provider is not the patient’s primary care provider, they must provide the PCP with a report on the encounter within 72 hours. The law further directed the Board and the boards of physician assistants, pharmacy, and nursing to work together to craft rules defining valid prescriptions for remote visits. This was accomplished during the regulation update. Th new rules also contain language that limits the treatment of chronic pain via telemedicine, apparently with the intent to impede the abuse of opioid medications. Further, providers are required to make a “good faith” effort to prevent fraud and abuse through telemedicine. All of this amounts to very good news for both patients and providers in Texas. Patients can now get needed care from the comfort of their own home on the devices that they love. They can avoid costly missed time from work and unnecessary travel time and expense. Research has shown that this type of access helps patients become more engaged in their care and results in better health outcomes. Providers benefit was well with more efficient practices, increased revenue, and improved work/life balance. The new rules will certainly benefit taxpayers as well by reducing strain on the healthcare system, reducing unnecessary visits to emergency rooms, and removing the threat of additional, expensive litigation. Like Texas, other states across the nation are reviewing their rules and regulations related to telemedicine to look for opportunities to increase access to this important new channel for healthcare delivery. We expect to see a continued shift toward more progressive policies across the nation.